Accommodations are often the focal point of any trip. Whether you are looking at vacation spots, planning a business trip or even planning a destination wedding, good accommodations are usually at the top of the list. Have you ever booked a hotel and thought it would be ideal for your trip, only to find out on arrival that you have made a grave mistake? It can be difficult to get a good idea of the quality of a hotel or resort from online reviews and images. Booking a hotel online can be somewhat of a guessing game, especially if you are visiting a location for the first time. Unless you have a personal recommendation from someone you know and trust, finding a great hotel can be a challenge. TripAdvisor recently put together the 2015 Travellers’ Choice awards for the top hotels in the world. If you want a once-in-a-lifetime travel experience, these are the hotels you may want to consider. Why you should stay here: It’s remote, romantic and villa suites are located on the water. Located on a tiny coral island in Maldives, this small 44-villa resort is truly beyond description. Why you should stay here: A 5-star boutique hotel that provides luxury amenities and exceptionally personalized service at rates that are more affordable than you may think. It is known as one of the most romantic places in the world. It includes rooms of up to 1,900 square feet surrounded by tropical rainforest, with an outdoor shower and a terrace overlooking the Arenal Volcano. 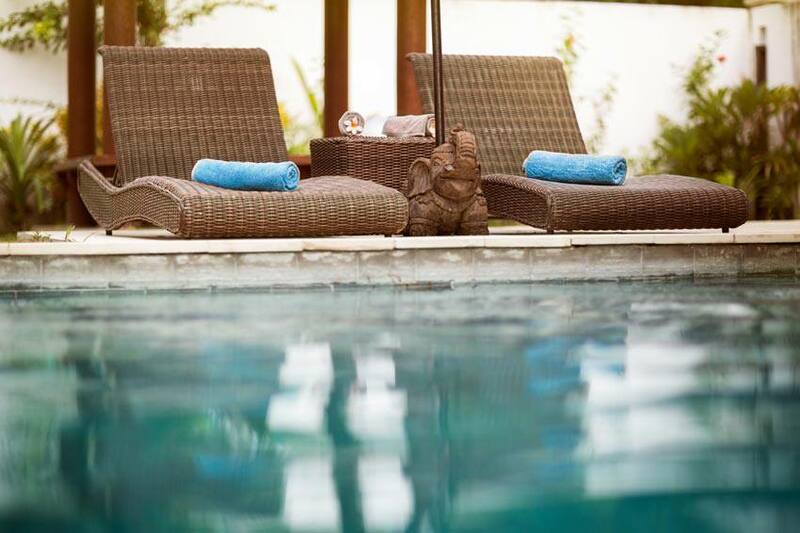 Why you should stay here: An upscale boutique hotel that is located in the French Quarter of Siem Reap. Its 39 contemporary rooms provide a tranquil and relaxing environment, and it is only minutes from Angkor Wat. Why you should stay here: A traditional hotel with fantastic historic architecture. Originally constructed in 1906, it’s located close to popular tourist attractions, has beautiful views of the Danube River and is ideal for all types of travellers. Why you should stay here: A former palace, this hotel is located in a tranquil plaza away from large crowds. Complete with butler services, the Spanish-style hotel features walls of Inca stones, a beautiful courtyard, spectacular pool, spa, bar and restaurant. Why you should stay here: This is an intimate Maldives island resort that features 33 suites on water, so you can take a dip and explore the lagoon right outside your door. It offers world-class diving, wellness treatments and delicious South Indian cuisine. Why you should stay here: A wonderful place to stay for the outdoor enthusiast. Located in the Tuxertal valley, at 1,300 metres above sea level, the hotel offers a world-class spa for relaxation, countless tours and excursions, and world-class cuisine. The Alpine-style suites with a mountain view are ideal for families, couples and romantic getaways. Why you should stay here: A palm oasis located in Dubai’s desert landscape, it is a once-in-a-lifetime cultural experience you won’t get anywhere else in the world. Why you should stay here: Located on the famous Black Lake, the hotel is known for its serene and romantic atmosphere. With European-style architecture and excellent service, it’s a great location for a wedding or a honeymoon getaway. Why you should stay here: Located along an emerald lagoon and riverside garden, this beautiful hotel offers refined dining, a world-class spa and an unparalleled relaxing atmosphere. The hotel even has a private train station to Machu Picchu. If you are thinking about staying in any of these world-class hotels, travel with the confidence in knowing you are covered with Blue Cross travel insurance.